Scott Baker of Arkansas shows off a nice red caught with Smokin’ Reels Charters out of Lydia. Slot reds and bull reds by the box-full can be caught in January in a couple areas around Vermilion Bay, depending on how the weather man treats us. 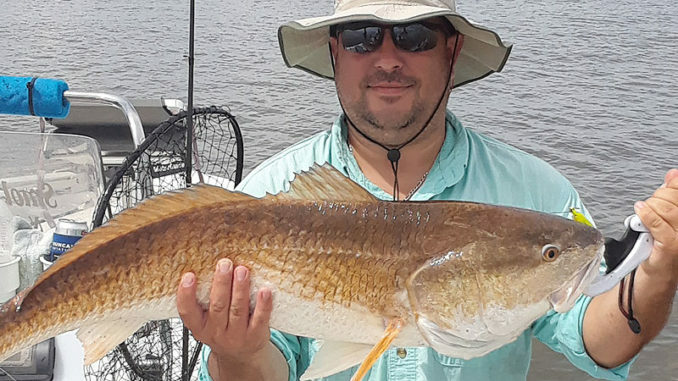 Many Acadiana saltwater fishermen know some fair to good fishing for redfish can still be had along the bay shore and in the deep holes of bayous in Marsh Island. 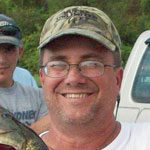 One of them is veteran charter boat captain Brian Romero of Lydia, who along with his wife owns Smokin’ Reels Charters. They started the business in 2008 and their son Drew came on board five years ago as a charter captain. Despite successes in the past this month, Romero said January can be pretty tough. In ealry December, they were catching plentiful redfish on soft plastics under a popping cork using purple haze, lemonhead and green hornet Matrix Shad. That will be the same plan they use in January. ‘We’ve been fishing them under a cork and had good trips along the bay shore. This time of year, it’s going to get a lot cooler and when the water warms up and the sun comes out, the redfish move to the shallows along the bay shore,” he said, noting two of his favorite bay shore areas are from Avery Island to Four Mile Cut, and around Boston Canal. He also favors the northern shoreline of Marsh Island. But the Romeros don’t just use any popping cork. They swear by the one from 4 Horsemen Tackle, based on the results since they started using them early in 2018. They fish the soft plastic or shrimp (in murky water) about 2 feet under the cork, he said. Fishing the bay shore is his preference. But when the north wind blows and the frigid air chills the water even more, redfish leave the lakes and duck ponds and sit down in deep holes inside Marsh Island, namely along Bird Island Bayou and Bayou Blanc, Romero said. “It’s my last resort. I try my favorites first,” he said. The deep holes can be found “at just about every curve” of the bayous. Those deeper areas, which are prime winter hangouts for bull reds, also have freshwater catfish — particularly large blue cats, which were biting big time in early December and should continue through the winter. 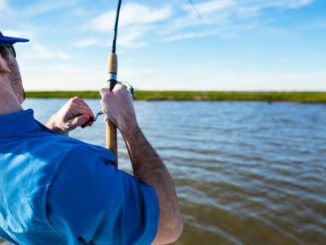 He fishes the deep holes with Carolina-rigged cut mullet or shrimp with the bait at the end of a 2-foot leader. He uses a ½-ounce weight, or two ½-ounce weights, to keep the natural bait from drifting with the current. “We try to use something to hold it in one spot, to hold in place for a long time,” he said. Other deep holes to fish include Boxcar Reef and in Southwest Pass.